One of the strangest families on TV is getting a little stranger. At least half of the family is. 2015 Funko Pop Family Guy brings part of the Griffin clan to the large vinyl figure line. 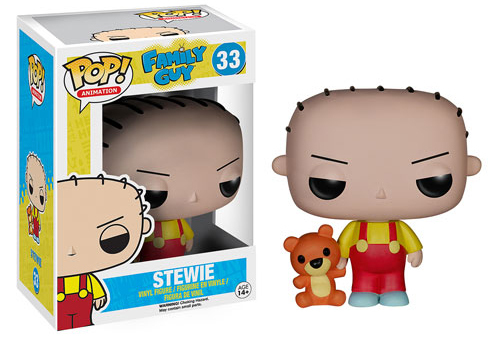 A total of four figures are part of the Funko Pop Family Guy debut. Leading things off is the Griffin family patriarch, Peter. He's joined by Brian, the pet dog, and Stewie, the always-plotting baby. Stewie has a second figure. 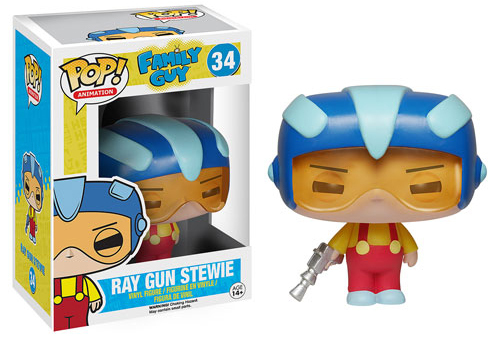 The second, Ray Gun Stewie, has him in a space helmet holding a blaster. If you're a fan of Lois, Meg, Chris and the rest of the show's memorable figures, you'll have to wait. The vinyl figures each stand 3 3/4 inches tall. They're included in the Pop! Animation line. 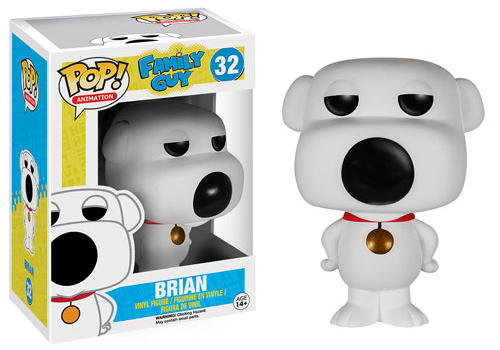 Family Guy - Brian Pop! Vinyl Figure - FunKo Free Shipping! 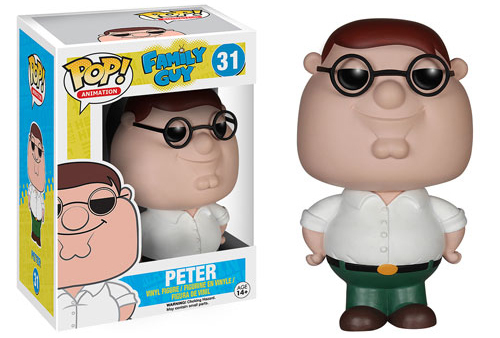 Family Guy - Peter Pop! Vinyl Figure - FunKo Free Shipping!